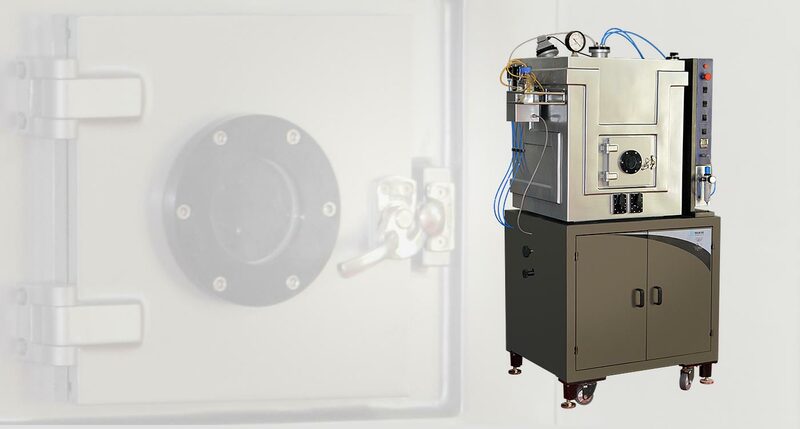 Holmarc’s Vacuum Spray Pyrolysis (VSP) system has been designed for advanced research in thin films, especially for solar cell development. This model facilitates the spray pyrolysis to take place in an inert atmosphere using Nitrogen purging. This model comes with Tin bath heater instead of regular stainless steel hot plate. This provides uniform and stable heating to the substrate during the coating process. The system automates various fatigue and error creating processes involved in the technique when performed manually. Moreover, ergonomically designed chamber provides clean and healthy atmosphere suitable for modern lab conditions. In vacuum spray pyrolysis, material is heated in a vacuum in order to decrease its boiling point and avoid adverse chemical reactions. The energy required to bring the material to its boiling point is reduced and the process becomes more efficient. Use of materials with high melting point becomes possible. This opens up possibilities for the use of materials which could not have been used with the traditional spray pyrolysis process. The software interface is simple yet flexible enough to create programs for different types of processes like point spray, raster spray, intermittent spray with programmable time delay etc. 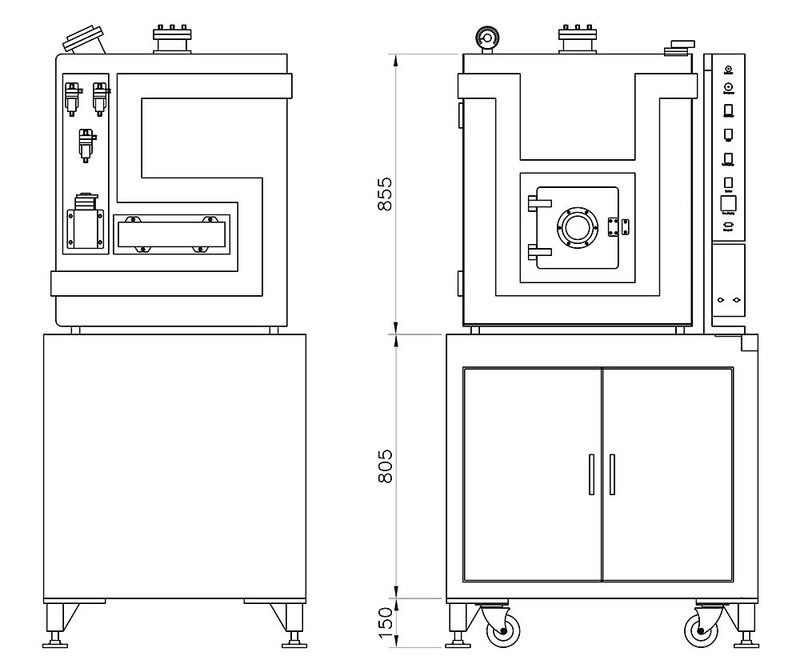 The flow rate is precisely controlled through the software while the process temperature, which is independently controlled using a PID temperature controller, can be documented for future reference. The control parameters of a process can be saved and recalled for later use. The default PC interface is RS232C (Serial port). Optionally, USB to Serial converter is supplied to connect the equipment to the USB port of a PC or laptop. The equipment can be customized to have multiple dispensers which facilitates easy switching between different solutions. Chamber Consists of , water cooling lines, nitrogen inlet port, overhead feed through, Illumination unit with a vacuum vew port etc.